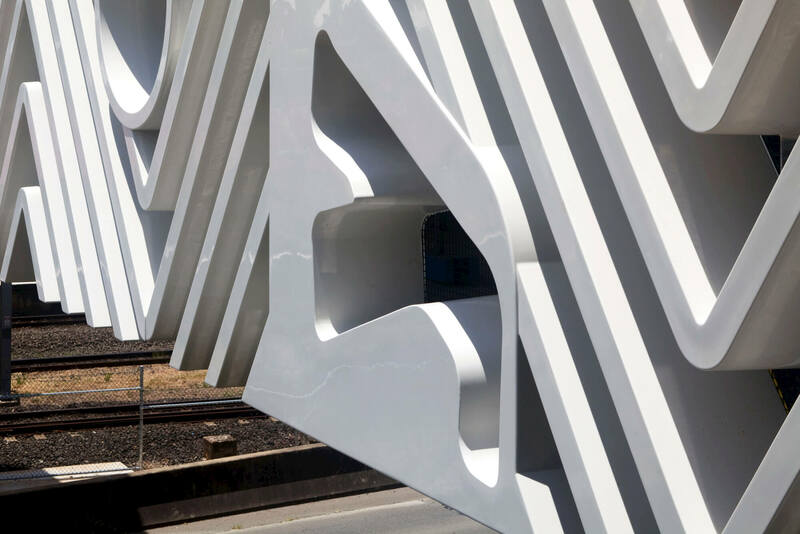 This project makes heroes out of the unlikely — a mundane railway structure and a small but popular piece of personalised Australian culture, the Dunlop Volley. 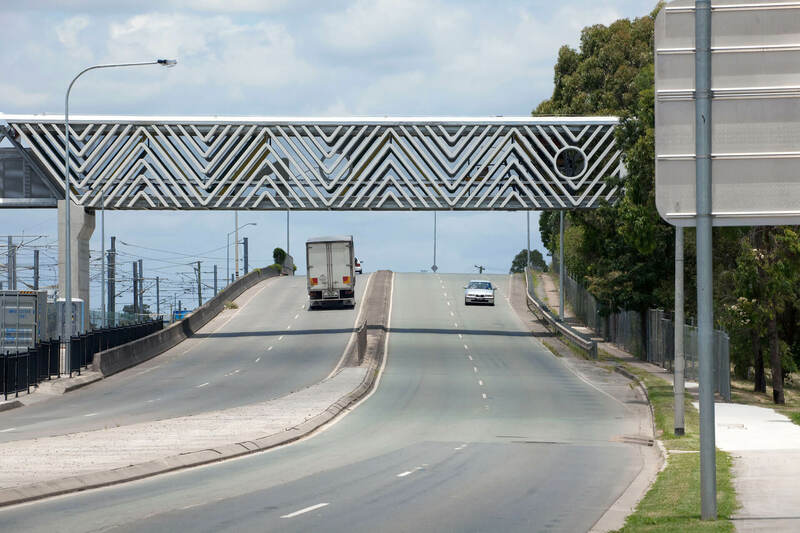 Our design brings something more than standard engineering outcomes to this new piece of infrastructure. 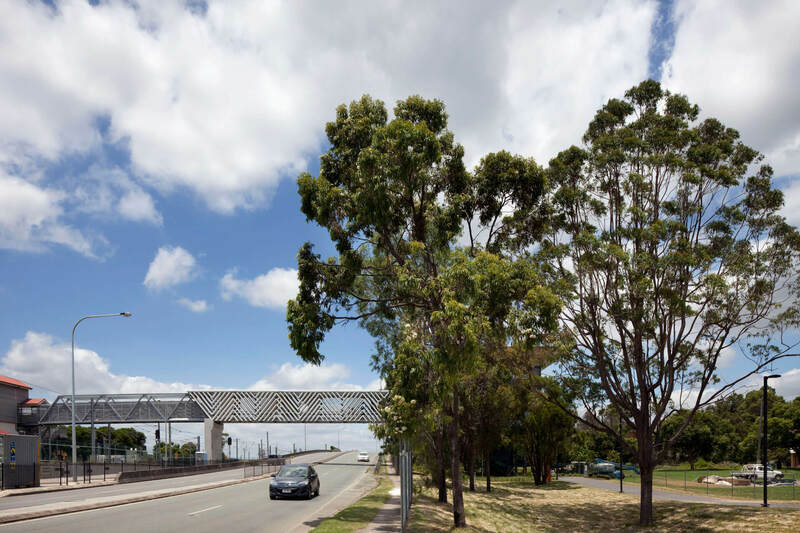 The bridge links the Yeerongpilly Railway Station with the new Pat Rafter tennis arena, and thus two contexts were influential in the design. 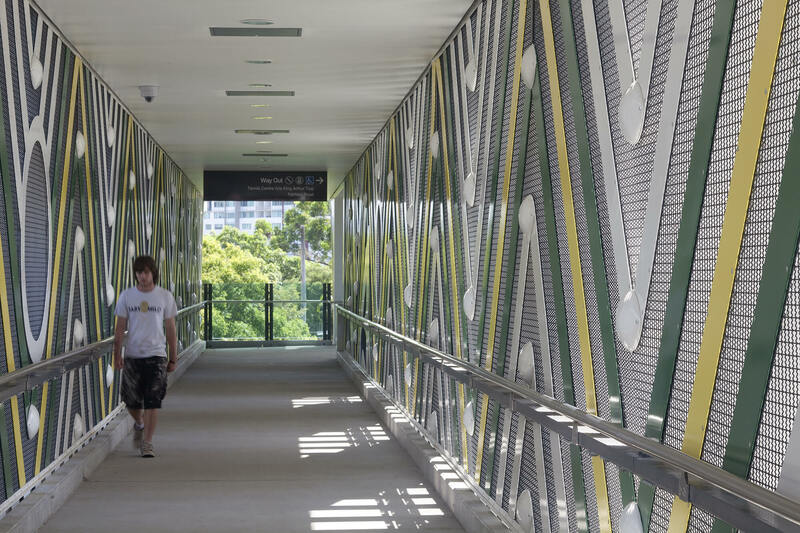 First, the existing pedestrian bridges to which the new work adjoins, and second, the context of tennis. 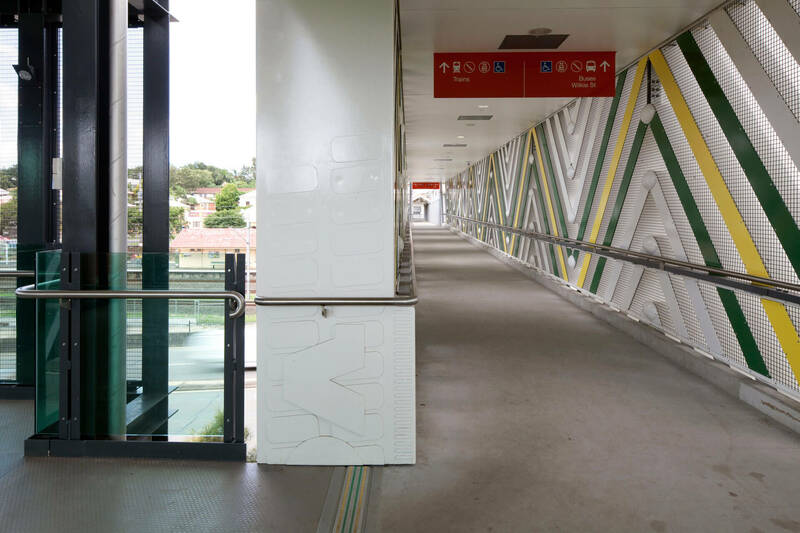 We were commissioned to intervene in the project, which was to be an extension of the existing infrastructure and had already been documented. 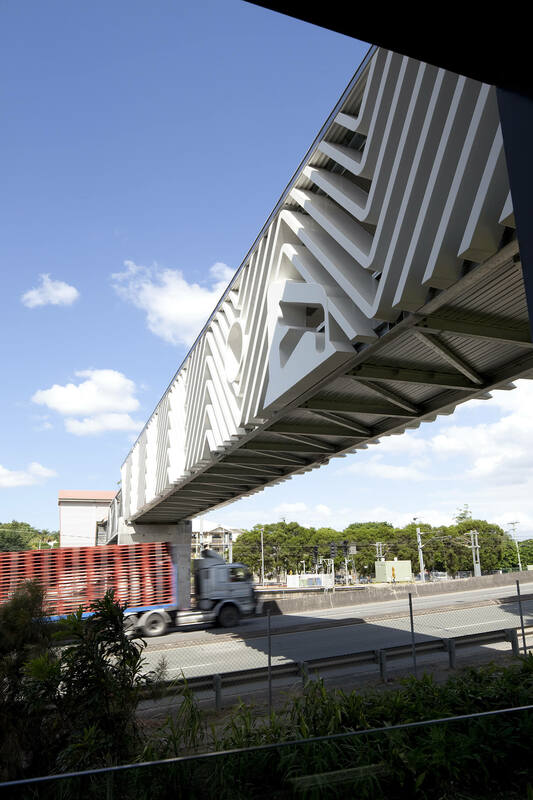 We needed to retain the structure, which was in line with other existing Queensland Rail bridges — with warren trusses making the span. The simple repetition of the warren trusses produces a pattern similar to the sole of the Dunlop Volley tennis shoe. 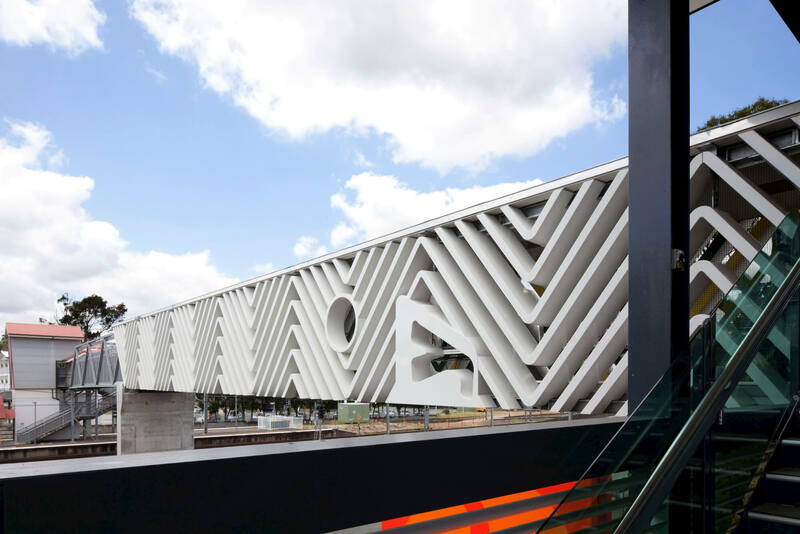 In the moment of this critical observation, we linked the culture of railway structures and tennis in a new form. The shoe is associated with Australian tennis heroes from the 1950s to the 1970s. It is also a reminder for many of long summers and a childhood spent outdoors. Over the decades, other shoes have taken over the high-end tennis market, but the Dunlop Volley continues to be the shoe of choice for amateur fishermen, roofing contractors and ‘indie’ kids. 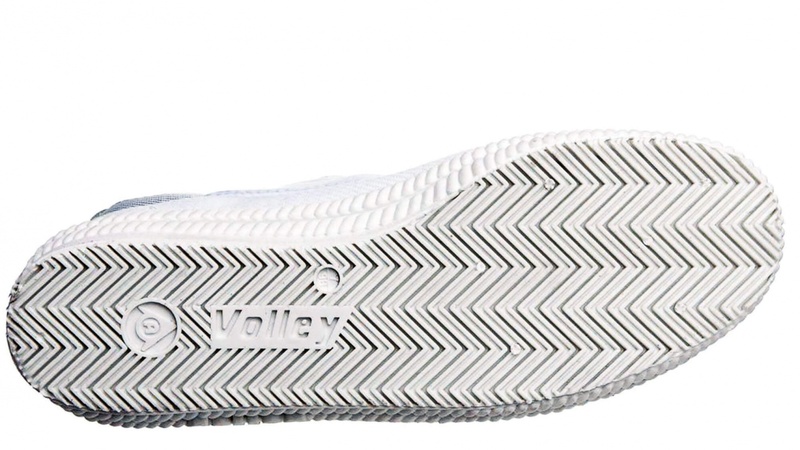 The shoe with its iconic sole, embossed labelling, bubble rubber surrounds and its playful coloured tabs, represents over half a century of Australian history. 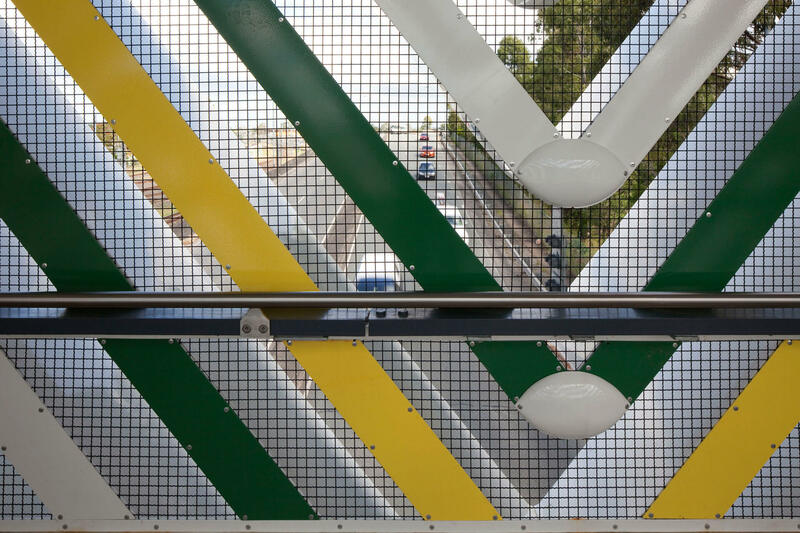 These details are explored in both the form and the fit out of the bridge. Malcolm Middleton OAM FRAIA 2011 RAIA Queensland Awards Jury Director, Jury Citation.